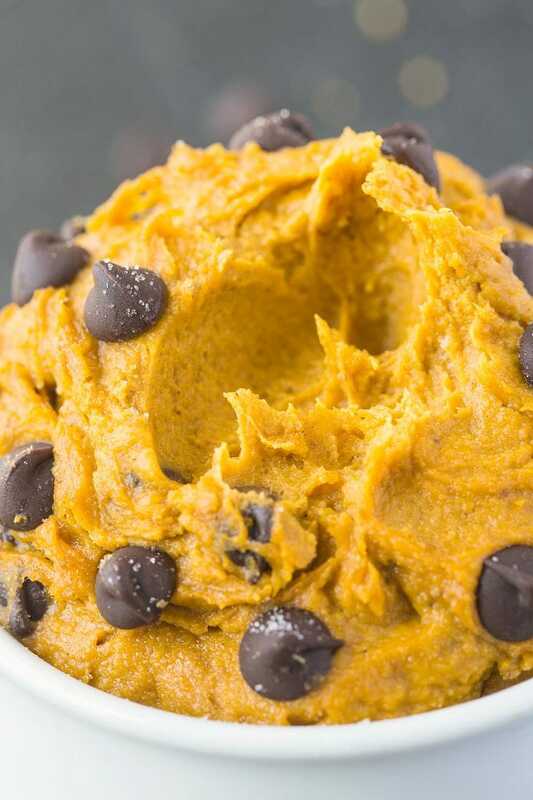 This delicious, healthy pumpkin cookie dough is single serving and is sinfully nutritious- Packed with fiber, sugar-free and has a protein option, it’s also paleo, vegan, gluten-free and takes less than five minutes to whip up! 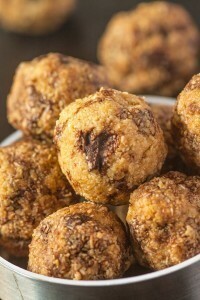 The perfect breakfast, snack or healthy treat! Happy Sunday folks- It’s been a stressful couple of days. On Friday night, I had big plans to grab dinner and drinks out with some friends at this bar downtown in the center of Columbus. However, an hour before I had set off to leave, I was getting messages saying this blog was down and that an error was showing up. I checked it out and sure enough, it was sending everyone errors and page now found messages. Not only that, it wouldn’t even let me log in the back end. I’m not even over exaggerating when I say from 6pm EST until 1.30am EST Saturday, I was on the phone with my host six times and at the same time, pestering my mates who work in the IT engineering field as to how to fix this issue. On top of that, I was emailing back and forth with a WordPress ‘Fix it’ consultant to see where it could be stemming from. 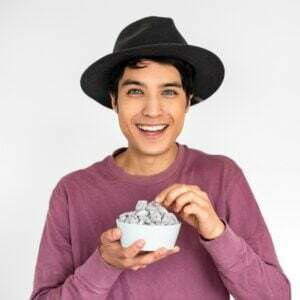 After hours or going back and forth and hitting a brick wall, I was advised by my host to switch to a private server, as opposed to the shared one I had used since the very start of this blog. A benefit of switching to this new server is that YOU as the reader should see a faster load time and more seamless control on this site. As always, I truly appreciate your readership and support and it’s moments like those scenarios where you truly realize just how important the back-end functioning of your blog is. Anyway, let’s not re-live that nightmare, especially when there is an epic recipe to share today. PS- Because my server was down, you may have missed this epic recipe for Healthy Sticky Cinnamon Roll Baked Oatmeal. Also, Giveaway including a cash prize here. 2. Giveaway for a recipe recommendation here. I’m not even going to start rambling about how the blog arena has been inundated with all things pumpkin, apples and caramel. I’m totally honing in on it too and am not ashamed one bit. I’m also not ashamed that I’ve bought 12 cans of pumpkin in the last month. Beta-Carotene tan, here I come. 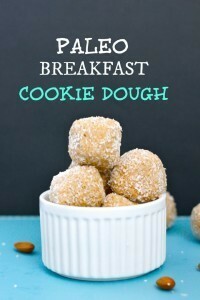 I’ve been a huge fan of single serve cookie dough recipes for quite some time now, especially for breakfast. It’s what inspired the original breakfast cookie dough back from 2014 which lead to a paleo version which lead to a double chocolate paleo version. Pumpkin, being the cheeky little (insert word of choice here) thing, wanted in on the action and of course, had to be one notch above the rest. Here I present you- Healthy Pumpkin Cookie Dough for one. Those whom are all about delicious food and NOT in measley quantities- This one is for you. 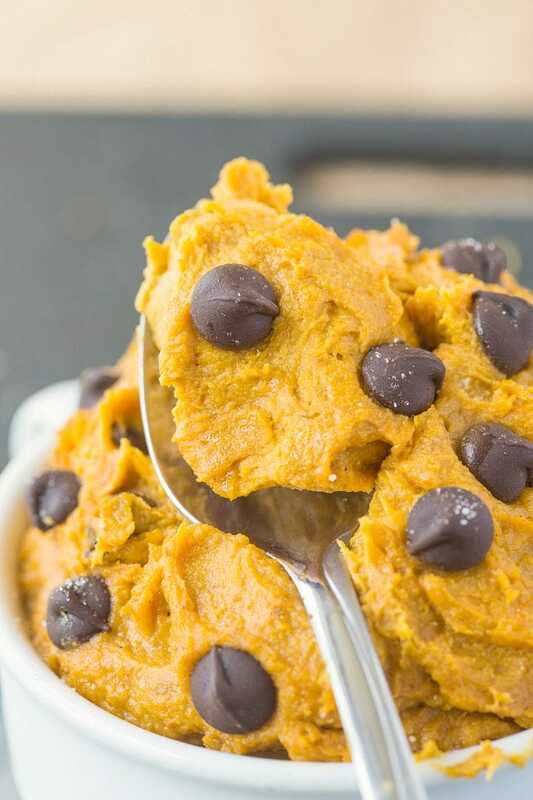 This healthy pumpkin cookie dough for one is no joke- It is legitimately something you could actually eat for every single meal of the day. It’s packed full of fiber, some healthy fats and there is an option (I really recommend it!) to make it high protein. It has the taste and texture of a pumpkin spiced cookie dough but without the added sugars, oils or the lovely HFCS monster which enjoys appearing on the packaged offerings. 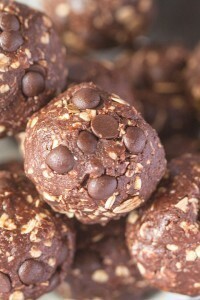 Naturally gluten-free and paleo, it’s also suitable for my vegan friends as there are NO eggs in it- Nada! (Also those who find the thought of eating raw cookie dough gross because of the uncooked eggs- Something I am NOT guilty of). I mentioned earlier that there is a high protein option and I really do recommend it- Depending on the brands you use (I tried it with three different protein powders -A vegan, casein and paleo friendly blend), it really thickens up the batter and I didn’t even need to add the optional dairy free milk- The texture (as pictured) was ON point. Also- The pictures don’t lie- That is ONE serving and a larger than normal sized cereal bowl. 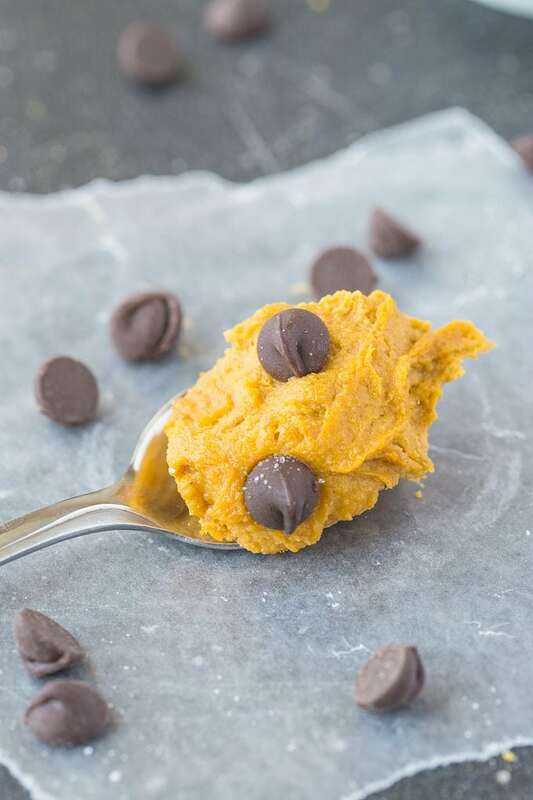 Make this delicious healthy pumpkin cookie dough for ONE and devour the entire serving. Then giggle to yourself because you pretty much ate a balanced breakfast in dessert form. 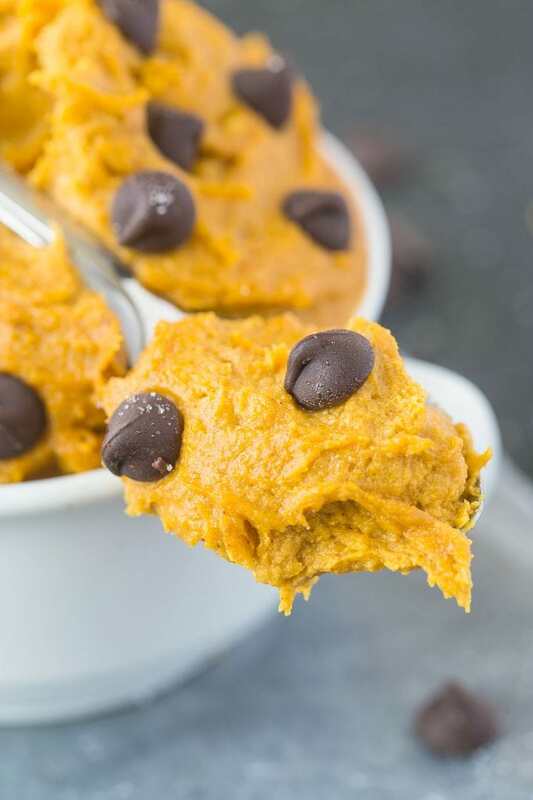 This delicious, healthy pumpkin cookie dough is single serving and is sinfully nutritious- Packed with fiber, sugar-free and has a protein option, it's also paleo, vegan, gluten-free and takes less than five minutes to whip up! 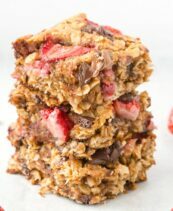 The perfect breakfast, snack or healthy treat! In a mixing bowl, combine the pumpkin, protein powder, flour of choice and sweetener and mix very well. In a small microwave-safe dish or stovetop, melt the nut butter with the maple syrup and add to the pumpkin mixture until fully incorporated. 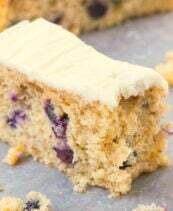 Using a tablespoon, add dairy free milk of choice until desired consistency is reached. The longer it sits in the fridge, the thicker it becomes. I love prepping it the night before purely for this reason- I find I don't even need the extra dairy free milk. This can be frozen and thawed before consumption. 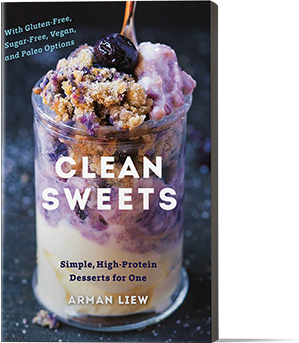 Want more single-serve healthy dessert like treats which could totally pass as breakfast? Hollar! Bloggers, have you had any hosting horror stories? What is your all-time favorite dessert? Random, but I had this conversation with a friend who said a simple chocolate biscuit was theirs. Unfriend-ing may be happening. Ugh, I hate and dread these tech issues. Amanda is having a crazy issue too which has caused her site to be down! So frustrating. I have considered switching to a private server too. looking forward to this recipe! What a nightmare! The bloggy issues NOT this cookie dough. I will be making this. And perhaps eating it morning, noon and night. Tech issues are the worst, the times they’ve happened it’s put me in a panic and I think my blog is gone! 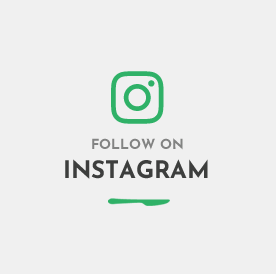 Your blog probably grew out of the shared server and the site will run more smoothly now. Wouldn’t want to miss this recipe! Thanks Michele 🙂 It was not fun! So if I double the recipe, is it still single serve if I mash it into one bowl? I think yes, because I want two. Hosting issues are the worst! At least there’s cookie dough, though! ? This looks INCREDIBLE! I’ve been planning to bake with my pumpkin puree buuuuuuuuut then I saw this! I can’t tell you what my favorite dessert is…there’s so many to choose from. Ah. That’s the best kind of answer! Love, I feel most terrible that you’re having such issues. But on the flip side, your pictures are SO on point. Like I could pluck one of those Splenda choc chips right from the screen!!! Coming over to scratch your back bai. I’ll bring Mo. You are such a liar, you sent some troll in the back end of my blog and set it off. Yummy! Healthy cookie dough sounds like a fabulous way to deal with down website stress! No guilt for binging on cookie dough either! Haha right? Thank you, Rachel! I have only had issues when moving from Blogger to WP. The pictures went all wonky. Other than that it’s been smooth (knock on wood). Now. About this cookie dough: Freaking genius! I love love cookie dough and pumpkin sounds great! I have so many favorite desserts, but right now I’m craving Cheesecake Factory’s Chocolate Chip Cookie Dough Cheesecake. Geebuz, don’t even remind me of that time. I still can’t believe I went from blogger to WP shared to WP self hosted…Worst. Haha… chocolate chips optional… never optional in my book! Tech issues scare me – its the one thing I literally have no idea how to fix! Right? They are so scary! Oh man, I want to seriously burn BH. Seriously. Bad blogging juju in the air this weekend, Mister. You know the horrors I went through, and here’s hoping that you get your horrors sorted soon. Technology problems are a mind f*ck. Let’s drown our sorrows in cookie dough. Right? Urgh I want some of this cookie dough right now! …Eeek tech issues are the worst. I just had a very similar issue to deal with this past week. Turns out our WP host subscription expired. Fortunately, we were back up and running in just a couple hours. This single serve deliciousness would definitely help alleviate the stress though…well, at least for me it would! Oh what! Glad you got it sorted soon too! I’m still amazed you made it to Cleveland after all that nonsense, and I hope it’s all completely worked out now. My fingers are crossed and my ears and shoulders are here if you need them. Eek what a headache! Glad it all got sorted out. I caved and bought a can of pumpkin this weekend but haven’t used it yet. I’m afraid that once I do, the floodgates will open and it will be ALL THE PUMPKIN from now until the spring haha. Thanks Chelsea! Please do- I can see you whipping up a pumpkin pasta or perfection! Tech issues are the worst. I have been thru several hosting services and several nightmares. Thankfully I am thrilled with the cusotmer service of my current service. Knock on wood, but I haven’t had any serious issues in a long time. 12 cans of pumpkin…you have been busy. 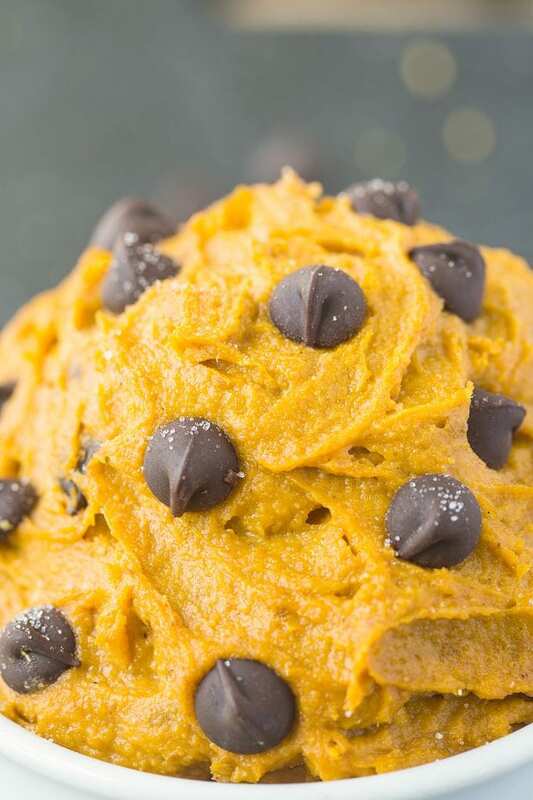 Pumpkin cookie dough sounds pretty yummy! Ahh that is so good you’ve found one your satisfied with 😀 Pumpkin has taken over…it’s not the best thing ahah! oh no!!!! I thought I was immune because I’m naturally dark but…it still shows!!!!!!!! Love this idea! Just one clarification…for the added protein…was it a flavored protein? 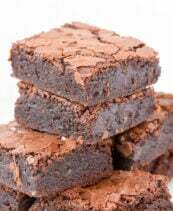 I normally use chocolate protein for my shakes but I’m not sure how chocolate protein powder would taste with this recipe.. Perfect time of year for this one! NICE! Time to overload on pumpkin and this should help me get there!! 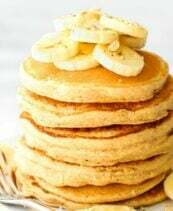 I stumbled upon this recipe on Pinterest yesterday, and knew that I had to swing by the grocery store for a can of pumpkin to make this for breakfast today. Be still, my pumpkin-lovin’ heart! It was absolutely delicious! I shared a couple of bites with my 5 year old daughter…only a couple, and she loved it too. She even requested her own serving next time. Needless to say, I’m now following you on Pinterest and look forward to enjoying many more of your delicious and healthy creations. Thank you for this morning’s breakfast and for the future meals to come. Love this, and am going to make it! Does the nut butter do anything important? I only really peanut butter and don’t feel like making anything (and don’t have the budget to buy healthy nut butters). Thoughts on leaving it out or does it maintain the consistency? This was good! I agree that the recipe made quite a lot, and I really felt that it needed salt after giving it a taste, so I added a little bit and mixed it in. thanks for the inspiration! <3ed this! So easy to make and so satisfying! *swoon* You’re my hero. This was soooooo good. I added lots of cinnamon and some ginger, mace, nutmeg, and clove…and freeze dried cranberries…aaaand maybe a few white chocolate chips. I can’t wait to try more of your recipes! Fantastic- Thanks so much for the feedback, Lauren! Hi! I just had a question; would it be possible to decrease the amount of protein powder? I like the kind that I have, but it can be a bit overpowering. This looks delicious … But contains mega calories! (Almost all i try to eat in one entire day! at the moment, that is…) Maybe you could create a version under 200 calories, so recipes like this would be accessible to more people. I think many more people would use them. You can enjoy a smaller portion of it 🙂 Enjoy, Shawna! Is it vanilla protein that you used?